Legendary stuntman Jack Williams was honored with a Golden Boot award for excellence in 1999. Preceded by some film clips of Jack in action, a sight to behold to be sure, he took the stage with a most eloquent speech. Paris Williams, Jack’s mother, was a world champion trick rider on the rodeo circuit, as well as an early film stunt-woman. 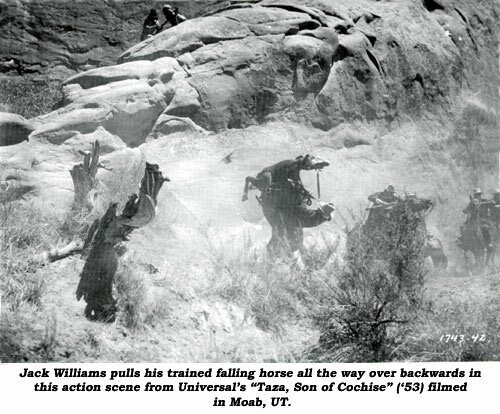 George Williams, Jack’s dad, was a Montana cowboy who in the ‘30s found he could train a horse to fall on command, known as a cue. 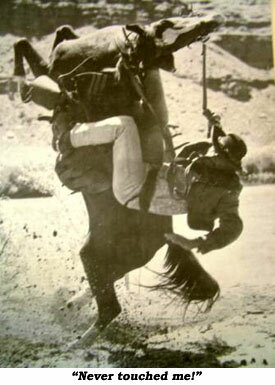 By the end of the ‘30s, trained horses were used in place of wire gimmicks or dug out pits for film falls. George taught this cue to his son, then 15 years old. Jack soon mastered the technique and began working on films with his Dad. Before long, Jack was helping pay for his education at U.S.C. by doing stunts. The young stuntman worked on such classics as “Dodge City”, “They Died With Their Boots On”, “Santa Fe Trail” and “Virginia City”, all with Errol Flynn. Jack was also a member of the Trojan polo team and helped win the championship for his school in his final season. Jack served his country for three and a half years in the Coast Guard during WWII. He was a navigator on an LST during the Okinawa invasion. The list of directors Jack has worked for total all the master western film makers including the aforementioned Hawks, John Ford, Henry Hathaway, Joshua Logan, Budd Boetticher, John Sturges, Yakima Canutt, George Marshall, Sam Peckinpah and Burt Kennedy. 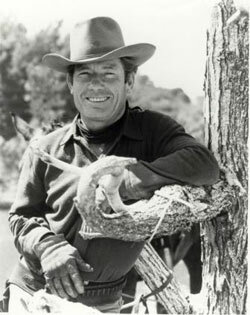 Jack’s film credits as a stuntman, actor and stunt coordinator include such hits as “Yellowstone Kelly”, “How The West Was Won”, “The Wild Bunch”, The Alamo”, “War Wagon”, “Rio Bravo”, “Rio Lobo”, “Far Country”, “Sons of Katie Elder”, “The Professionals”, “Cheyenne Autumn”, “Major Dundee”, “Cat Ballou”, “Alvarez Kelly”, “Smoky”, “Lion and the Horse”, “Night Passage”, “Hondo”, “Bugles In the Afternoon”, “Last Outpost”, “Naked Spur”, “Man Who Shot Liberty Valance”, “Gold of the Seven Saints”, “Westbound” and hundreds more, plus nearly every western series ever on television including the “Roy Rogers Show”. Introduced to the Rogers productions by veteran stuntman and John Wayne double, Chuck Roberson, Jack told WC he did about 40 episodes. Jack can also be spotted on “Maverick”, “Rawhide”, Laredo”, “Monroes”, “Guns of Will Sonnett”, “Lancer” and “Bonanza”. Jack saw the business begin to change about 1970 and got into real estate in southern California, although he still accepted a job now and then. Jack was a founding member of the Stuntmen’s Association to which we both belong. He’s also a member of the Academy of Motion Picture Arts and Sciences and was inducted into John Hagner’s Stuntman’s Hall of Fame in Moab, UT. 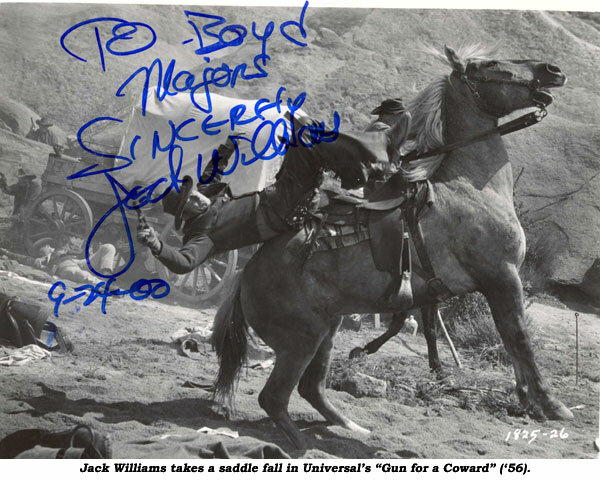 I knew Jack most of my professional life and have seen him perform some fantastic stunts that to the naked eye or the camera seemed to have injured him severely, but, as he is so fond of saying…“It never touched me!” Jack Williams, One of the best there ever was. Jack died in California April 10, 2007.